2019 Delhi Republic Day parade will be held on Jan 26th at 9:30 am. India attained Independence on 15 August 1947. The drafted constitution was enforced on January 26, 1950. This day marks the sovereign, secular, and democratic set up of the country and well known as Republic Day. people." The constitution assured the people liberal rights and duties guaranteed through the Preamble. 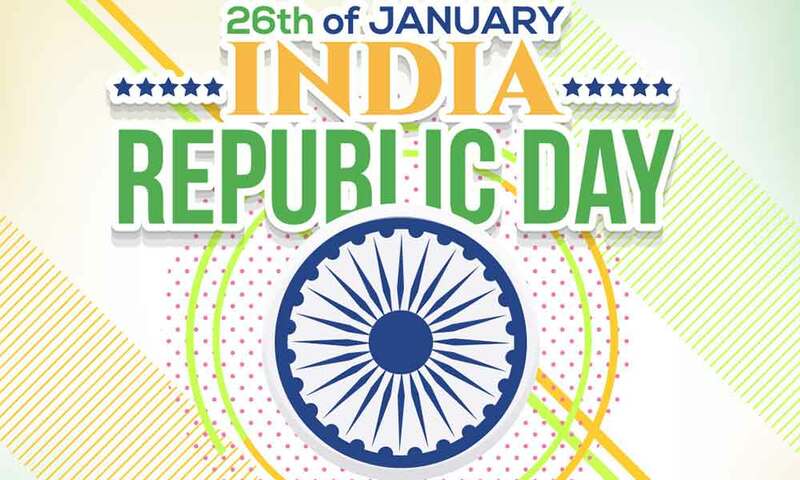 Indianholiday will offer you information on Republic Day celebration in India. Republic Day is a national holiday in the country. The main highlight of the day is the Republic Day Parade in the capital state of New Delhi. The entire nation participates in the yearly event that lasts for about three hours. Presided by the President and Prime Minister of India, the parade begins from Rajghat. Army, navy, and the armed forces march their way saluting the freedom fighters and the eminent personalities on the dias. The horse-march is another important part of the celebration of Republic Day in New Delhi. National Cadet Corps (NCC) and selected scout boys are part of the event. The parade is followed with regional dances, patriotic songs, and military bike shows. Make a stop in New Delhi during your India travel to see a spectacular show on Republic day in India.